An Indian town set a Guinness World Record by lighting more than 300,000 Diwali lamps on the bank of a river. 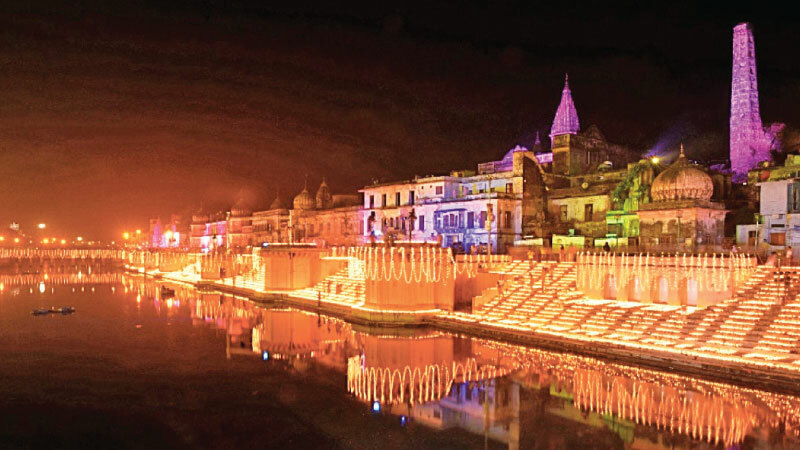 Guinness confirmed the Ayodhya Deepostav 2018 Diwali celebration in Ayodhya set a world record Tuesday when 301,152 earthen lamps were illuminated on the bank of the River Sarayu. Rishi Nath, a Guinness adjudicator, said the lamps remained lit for at least five minutes, qualifying the feat for the world record. The event was attended by Uttar Pradesh Chief Minister Yogi Adityanath, who announced Faizabad district was being renamed to Ayodhya district.